Mar. 21 (NBD) -- In a noodle restaurant in northeast China's Mudanjiang, a 30-year-old man moved his stand, microphone and speaker to the doorway and started to play Castle in the Sky by saxophone in front of his smartphone. While living as the owner of the restaurant, Zhang Mingchao began teaching himself to play the musical instrument half a year ago. His video recordings uploaded to live-streaming app Kuaishou help him win a bunch of followers on the platform. Zhang's life shows an epitome of life style of most people in Mudanjiang, a small city in Heilongjiang Province with beautiful scenery, tasty food and entertaining citizens. The northeastern city has been yearning for attention from and connection with the outside world and the video-sharing app now is bringing it into the spotlight. According to the statistics from Kuaishou, as a city of 2.5 million inhabitants, Mudanjiang has more than 1.42 million registered users of Kuaishou, with 660,000 monthly active users and 330,000 daily active users. The rapidly advancing technology significantly changes the life of Mudanjiang people. Street shops, Wanda Plaza's employees, Russian businessmen, fresh graduates, entrepreneurs and musicians in the city frequently release their works on Kuaishou. 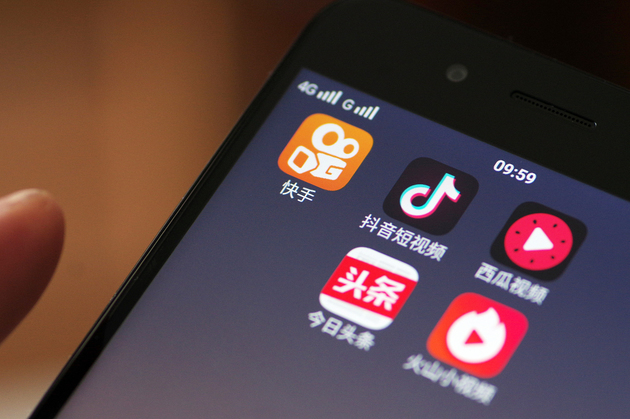 Short video has become the fourth Internet product that is well received by Chinese netizens, after mobile payment, e-commerce and ride-hailing. For smaller cities, such novel form of video as a new carrier is connecting with every industry, field, company and even individual in the area and are seen by merchants as an efficient way of peer communication and user acquisition. Gao Wen (alias), who is running two Russian specialty stores in Suifenhe, a county-level city in Heilongjiang, has published more than 1,100 videos on Kuaishou to record her daily life and popularize relevant knowledge, which assists her in tapping consumers across the country. Through the videos within seconds or minutes, all aspects of a city, including scenic spots, social and economic phenomena to be featured in a small mobile phone, and people intercommunicate with each other in a new way. What does the new form of connectivity mean for third - and fourth-tier cities? Kuaishou founder Su Hua shared his thoughts at the 2018 World Internet Conference held in Wuzhen, noting that short videos are expected to bring deeper social transformation in industries, education, poverty alleviation and other fields, in addition to entertainment and time killing. On the one hand, the short video platform with huge traffic opens a new door for city branding. A large number of less-known third- and fourth-tier cities in China urgently need to display the city image nationwide, in a bid to retain workforce and introduce industries and talents from outside. Many of Kuaishou's web celebrities from those regions who have already been influential in culture, tourism, cuisine, handicraft, intangible cultural heritage and agriculture become the disseminators of city image and culture. Born in 1997 in Mudanjiang, Zhao Xiaogan is known as a popular singer on Kuaishou boasting 1.42 million followers. She desires to introduce her hometown to more people via her short videos. On the other hand, the low threshold of video recording allows both urban and rural users to enjoy such entertainment and short videos, therefore, acts as a new channel for exchange of opinions between decision makers and the public.